Sometimes it’s nice to just get out and wander. No pre-planned routes or knowing what the outcome should be. Simply packing a picnic, lacing up a comfy pair of shoes and just walking is one of life’s simple pleasures. 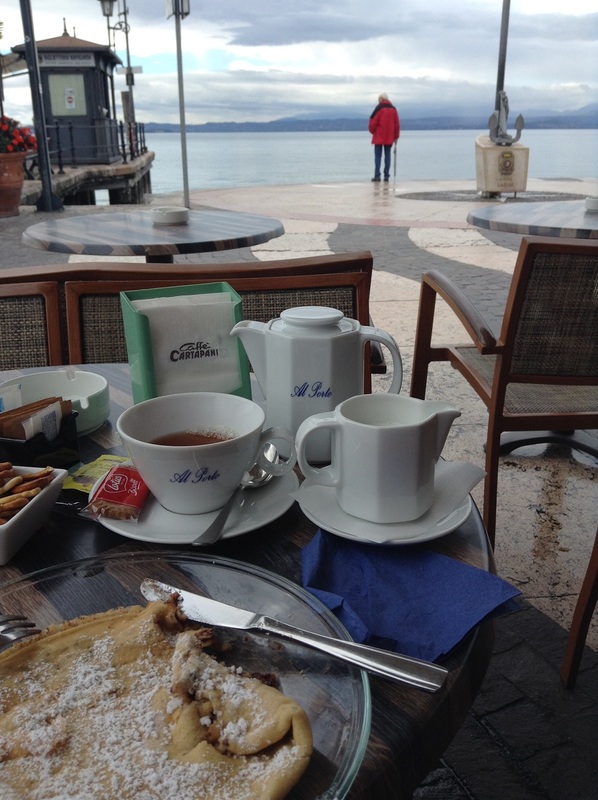 And where better to do it than on the picturesque shores of Lake Garda. 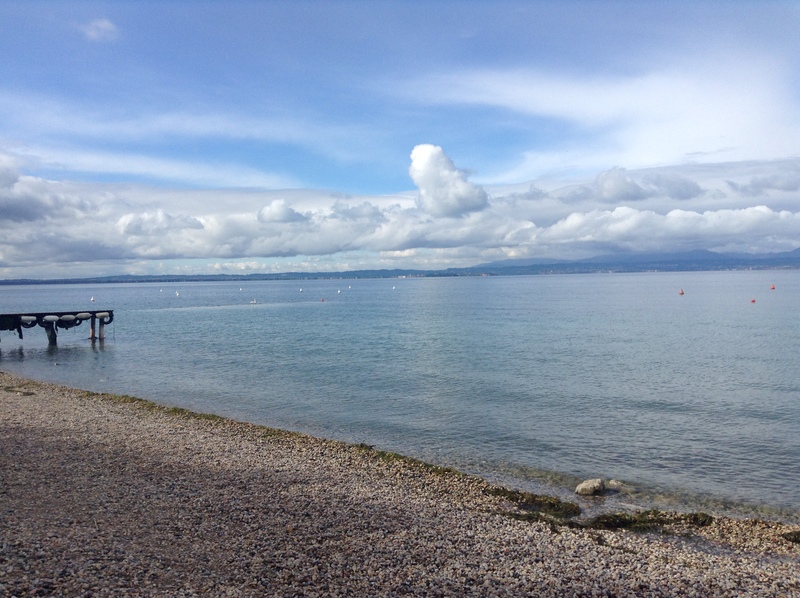 We were staying at Bella Italia on the southern tip of the lake and decided to get out onto the lakeside walk and see where the day would take us. As you stand outside the campsite, you can see some of the towns dotted around the lake. To the left, you can see the famous outline of Sirmione as it juts out into the lake. To the right, you can see round to Peschiera, then along the east side of the lake, with the large rollercoasters of Gardaland standing tall in the distance then a couple of little towns. One thing that puts your mind at ease about wandering round Lake Garda is that there’s a pretty good bus service, even in low season, so if we got tired/ bored (pretty unlikely) we could hop on a bus back to Peschiera. Wandering from Bella Italia round to Peschiera, through the town, under the roman walls and then onto the seawall towards Camping Butterfly is simply beautiful. I don’t think Lake Garda could ever fail to produce an amazing view, even with low cloud. It just adds an atmospheric, peaceful feel. The walk past Camping Butterfly and heading north is kind of eerie in low season, after Butterfly there are lots of campsites (some in various stages of demolition, which was quite fascinating) and lots of beautiful beaches – some pebbly and some sandy. Neglected pedaloes and kayaks sat along the shoreline waiting for next summer. The walk started to vary after a bit and we found ourselves walking along different types of path – stony, tarmacked and some natural, parts of the path lined with large shrubs shrouding the view of the lake. Empty beaches and wooden walkways over the water provided the perfect spot to stop and take in the view and as you rounded the corner away from the very wide part of the lake, the mountains and towns along the coastline came into view. After refuelling on a delicious lunch of baguette, salami and cheese on a peaceful beach with just a few swans for company, we carried on past marinas where we chatted about which boat we’d buy if we won the lottery. As we wandered further, we started to spot signs for Lazise and decided to make that our destination. It would be difficult to get lost so we just kept walking in that direction. Coming out of shrubbery we came upon a wide beach that you simply had to walk along to reach the town. Arriving at Lazise made the unknown wander completely worthwhile. Lazise is a beautiful old walled fortification with a castle. To enter the town we walked along a beautiful flower lined pathway and through the walls. 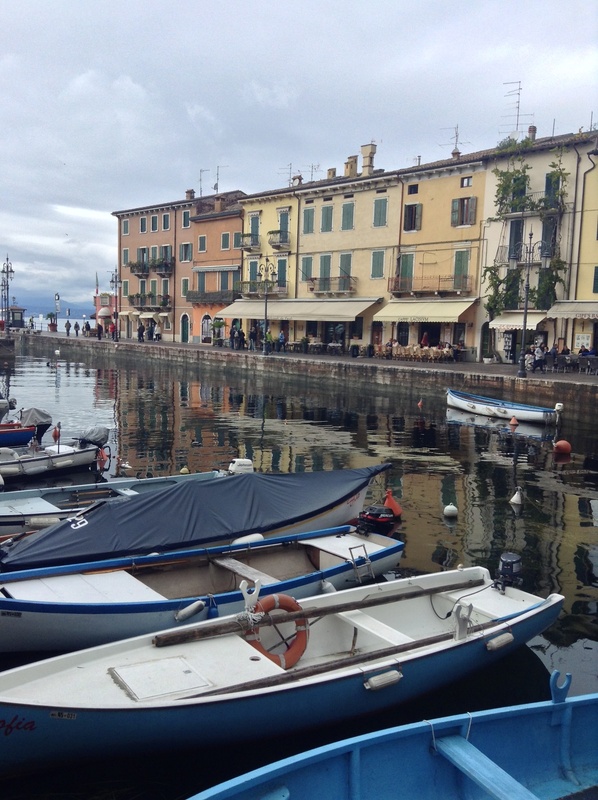 Lazise is extremely pretty – similar, but at the same time completely different to Sirmione. Gone are the hoards of tourists that line every street of Sirmione, instead there’s a much more relaxed authentic feel. Lots of little shops selling olive oils, wines, cheeses, prosecco and pasta (and really reasonable prices) lined every street. We walked past the grand old customs house and around to the café-lined waterfront. 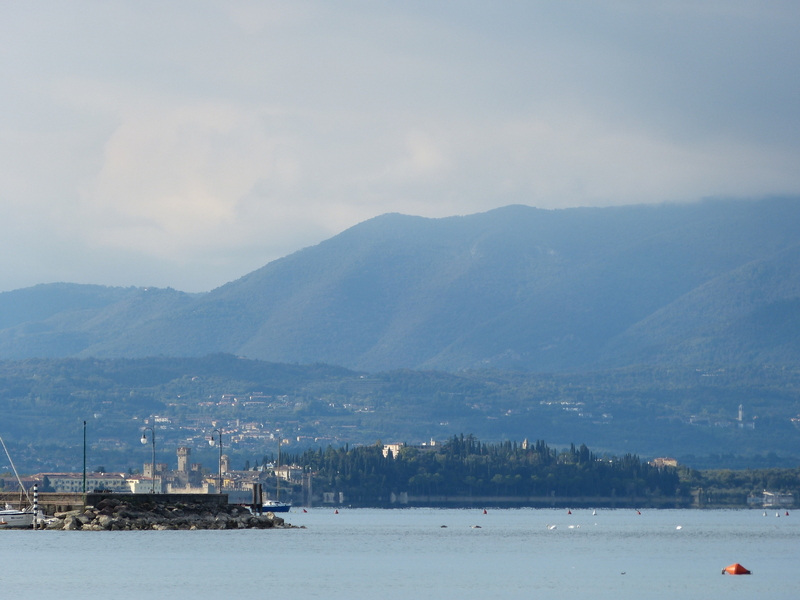 The views up to the northern part of the lake, and the next town along, Bardolino, were spectacular. We spent a while wandering a little bit further along the lakeside path and then stopped to sit down, enjoy a delicious crepe and a cup of tea and enjoy the view. It’s such a peaceful, relaxing place! To get back to the town, we had the option to take the boat back but the timings weren’t that great (the boats are much more frequent in high season) so we wandered up to the main road and found a little shop to buy our bus tickets and a bus stop. Ten minutes later we were back in the lovely town of Peschiera. Walking from Bella Italia to Lazise took us around 2 hours (12km) – it’s a very flat easy walk with plenty of beaches to stop and have a rest. Make sure to take plenty of water as there was nowhere open in low season to buy anything until we reached Lazise. During high season, there would probably be other options as we saw a few closed beach bars. Liked the article. I did the same route in September (still fairly busy), except I started at Camping Butterfly and went by bike to Lazise, which is quite manageable.. There were a couple of places where you had to get off the bike for a little while but it was a nice little cycle. If I won the lottery I’d think about buying one of the big houses on the route that have their own little railway to launch your boat!